travel › Buy Poster of Traveler Girl Walking On Tropical Beach In Sunset. Vintage Photo Of Young Girl Traveler In Vacation. 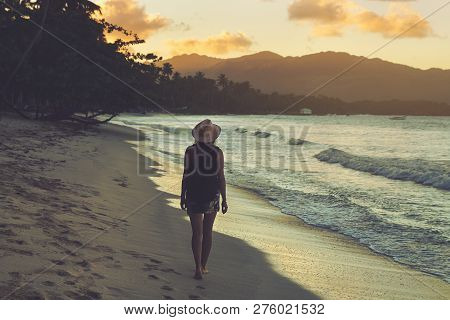 Poster of Traveler Girl Walking On Tropical Beach In Sunset. Vintage Photo Of Young Girl Traveler In Vacation.